Tea has been an essential for me, constantly seen daily in my life as I am more of a tea person, it was a great experience when I was invited to a tea party by Tetley Malaysia recently with their "£1 million" Tea Master, Sebastian Michaelis teaching us the Art of Blending. 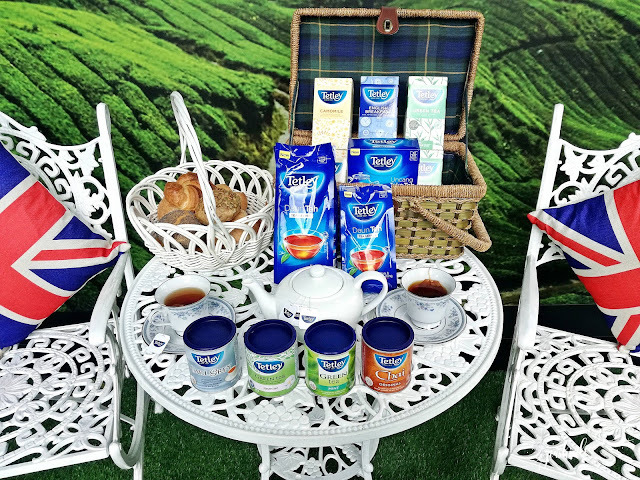 Tetley, Britain's iconic tea brand, is the 2nd largest tea brand globally. Their tea is made from the young leaves and unopened buds of the plant, Camelia sinensis. The tea leaves are sourced from 11 countries across 3 continents, from the lush valleys and tropical islands that make up the tea growing regions in the world. 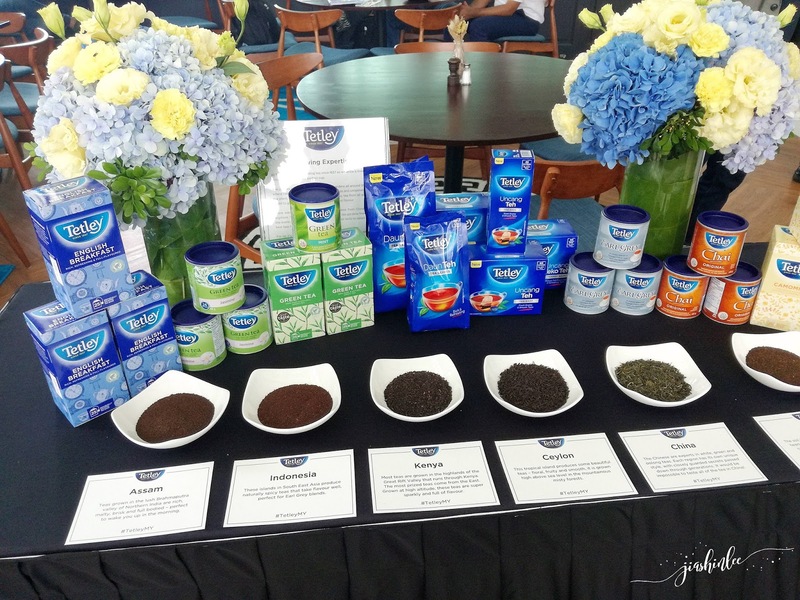 Tetley is one of the largest tea brands worldwide with a presence in over 40 countries, Tetley brings to Malaysian teacups a combination of expertise and rich British heritage, spanning over 175 years. 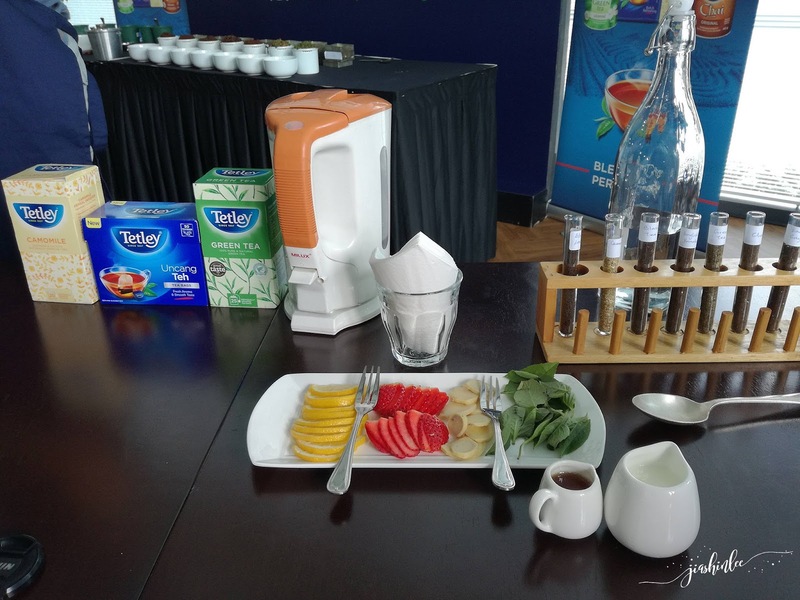 I have always wondered what it would be like to blend your own tea and this event was like a dream come true! 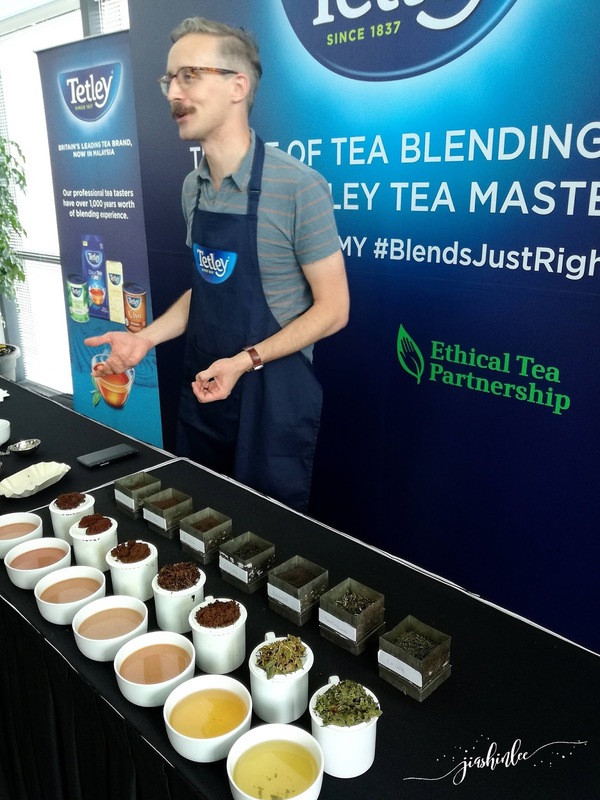 It was so much fun when we were taught by Sebastian about the different blends available we learned and understand more about tea in such a way that we could create our own blends. 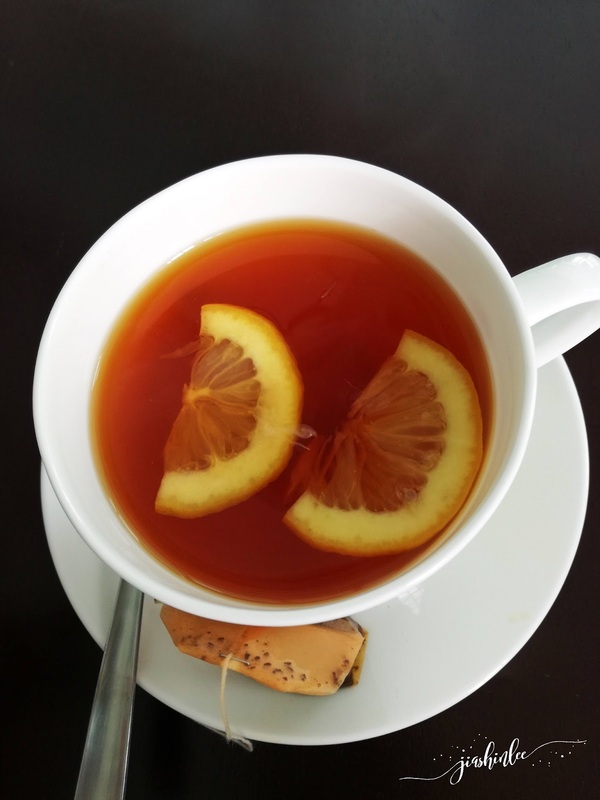 For a perfect cuppa tea the water temperature must be right, for tea-bags, boiling water extracts flavor, but for leaf tea it should be below the rolling boil: 85C (185F) for black tea for 2-3 minutes; 80C for oolong for 1-2 minute, 70C for green and white for 1-2 minutes. Here is my cuppa tea, lightly brewed tea with ginger sliced, lemon and honey. Tetley’s products come in a variety of distinct packaging, including String & Tag tea bags, round tea bags, teapot bags and loose tea. 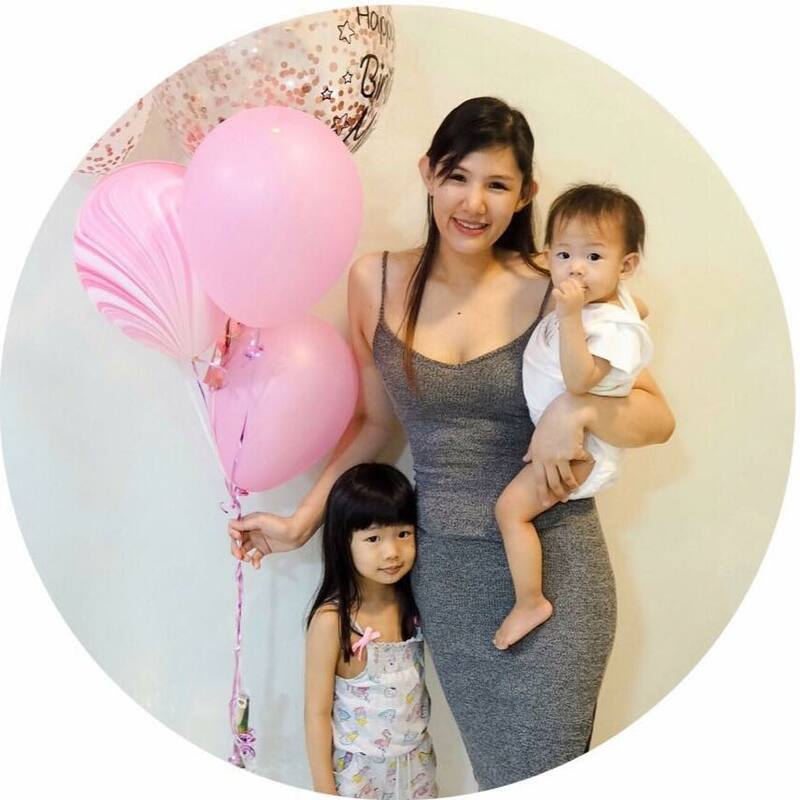 They are available at major hypermarkets and supermarkets across Malaysia. String & Tag tea bags and Canister tea bags are priced at a recommended selling price of RM11.90 and RM8.90 respectively. Meanwhile, tea bags, teapot bags and loose tea are priced from RM6.50, RM8.00 and RM8.90 respectively. Tetley teas are certified Halal. For more information, visit www.tetley.com.